I’m a fan of Whittard Tea (I’ve written about them before) – not just for their tea (oh, and the attractive packaging), but for their retail shops too, which are brilliant. If you’ve never been to one, I urge you to pop by for a visit. You will find them in shopping malls and in cities and towns from Basingstoke to York. Whittard shops are filled with the most wonderful tea (and coffee) as well as a fab selection of mugs, teapots, tins, tea accessories, and loads of other goodies. Their customer service is fantastic, and every Whittard shop I have ever been in is always fully stocked and just an all around enjoyable experience. Tip: There are usually free samples available towards the back of the store. Recently, I had a chance to try some of Whittard’s tea pyramids – triangular tea bags made from sheer bio-degradable mesh and filled with whole leaves (or fruit) to infuse perfectly in your cup. These mesh tea bags are beautiful – they look and feel like silk. Times have changed, tea lovers! Do not be fooled by the old ‘all tea bags contain inferior tea’ blah blah blah. Yes, this may be still be the case with some tea vendors, but we are now seeing more and more leading-edge tea companies (like Whittard) using full leaf tea in quality tea bags that are roomy enough to allow those leaves to fully unfurl, releasing all that tea glory! I must say it was almost impossible to narrow down my list of the teas I wanted to review. Whittard offers black tea, white tea, green tea, yellow tea, Oolong tea, Pu-erh tea, Rooibos, single estate tea, flavoured tea, fruit & herbal infusions, and artisan tea. I mean, how in the world does one choose? The first was Baked Apple which is actually an infusion and not tea (it’s only ‘tea’ if it contains tea leaves). Whittard’s Baked Apple is a delicious mixture of apples blended together with almond, cinnamon, hazelnut and cream flavours. The scent alone is worth your trying this tea, but honestly, it was lovely. I expected it to taste similar to other apple flavoured ‘teas’ but this one had a pleasing, distinctive, more authentic apple taste than previous ones I have tried. (And the cinnamon is not overpowering as sometimes can be the case when paired with apple.) I sampled this tea straight up, with no milk or sugar. Next, I tried the Masala Chai black tea with spices. Masala Chai, or mixed spice tea, originates from India. Recipes vary from family to family but the inspiration stays the same. Enticingly aromatic and beautifully warming, I sampled this tea with generous lashings of milk and sugar to evoke a traditional Masala Chai. If there was ever comfort in a cup, Whittard Masala Chai is it. Truffle Praline was the final tea I tasted – a black tea with white chocolate pieces, rose petals and flavouring. Again, oh my, the aroma was amazing. This is a light tea but with a very decadent taste. The small pieces of white chocolate (I promise you will be tempted to pick them out and eat them on their own!) add just the right amount of chocolate flavour, and the praline pulls it all together to form a truly rich tasting cup of tea. I sampled this tea with just a hint of sugar. If I had to pick a favourite of all 3, this one – Whittard’s Truffle Praline Tea – was it. But don’t take my word for it – try these teas for yourself! And don’t forget to check out the Whittard Facebook page, the Whittard Twitter page, and Whittard’s Pinterest boards. Visiting National Trust properties is not only enjoyable because of their beauty and history, but also because most of them have excellent tearooms. Some are quite unique – for example housed in old stables, like the tearooms at Osterley House not far from where I live – and others may be located within the house itself or in an outbuilding on the property. All are worth a visit for their welcoming atmosphere and delicious food, but it is their reputation for yummy cakes that draws people to a National Trust tearoom. When talking about the popularity of National Trust tearoom cakes, the proof is in the pudding. Collectively, over half a million slices of it are served every year – together with 22,000 cups of tea and 15,000 scones! A French recipe from the 1930s, Lemon Drizzle Cake is a long-standing teatime favourite that, traditionally, contains a wee bit of rum. I love this Lemon Drizzle Cake recipe from The Tea Rooms in London. Carrots have been used in cakes since medieval times, when sweeteners were expensive and scarce; they contain more sugar than any other vegetable besides the sugar beet. During World War II, Carrot Cake became immensely popular in England due to sugar rationing. Here’s an article from The Guardian on how to cook perfect carrot cake. Ancient Romans considered walnut the fruit of the gods, possibly for its promise of virility. Compared to certain other nuts, such as almonds, peanuts and hazelnuts, walnuts contain the highest total level of antioxidants. Nigella Lawson’s Coffee and Walnut Cake recipe sounds (and looks) scrumptious. This recipe goes back to 1764 when Dr. James Baker ground cocoa beans between a millstone to create baking chocolate. If you are American, you are no doubt familiar with Baker’s Chocolate. The quintessentially English of all English cakes, the Victoria Sandwich was named for Queen Victoria. Apparently, it was her favourite cake, and it’s my favourite as well. This is usually the one I choose when visiting a National Trust tearoom. The Victoria Sandwich is a sponge cake, and is sometimes also referred to as a Victoria Sponge. It is a tearoom classic, and quite easy to make. I had rather good success with this Victoria Sandwich recipe from Betty magazine. Are any of these 5 cakes a favourite of yours? What other cake recipes are you fond of? As an Anglophile and mum to a son and a daughter who, in their youth, were talented tennis players, Wimbledon has always held a special attraction to me. The pure Englishness of it all – strawberries and cream, dress code, Royal patronage – is enough to melt the hearts of even those who could care less about the game. And this year the world, and especially we here in England, celebrated with great enthusiasm, the long-awaited and much-anticipated victory by Britain’s Andy Murray. I may only live 20 miles from Wimbledon, but I wasn’t privileged enough to attend any matches. (It’s on my Bucket List!) But recently, I was privileged enough to attend an event much more comfortable (in terms of surroundings) and perhaps more satisfying than Wimbledon tennis – and that was the Wimbledon Afternoon Tea at Grosvenor House, London. Tea in England readers know that this wasn’t my first trip to Grosvenor House for tea – last autumn, I enjoyed the Downton Abbey ‘Upstairs, Downstairs Afternoon Tea’ at Grosvenor House. It was pretty impressive, and today’s tea was much of the same. There are so many places in London that do Afternoon Tea – and do it well – so it must be somewhat of a challenge to fashion unique aspects that will make your tea stand out. One of those unique aspects at Grosvenor House is the Tropical Fruit Salad that they serve as an appetizer. I just love the teensy-weensy cubes of fresh mango, pineapple and melon swimming in tangy, mouth-watering fruit juice. It’s a real wake-up for the taste buds, and totally refreshing. 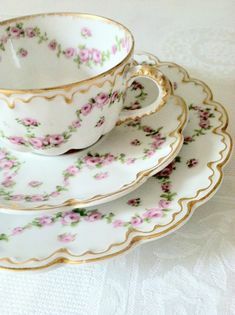 And finally, at the point where you are so full you cannot think of eating another bite, you reach the third and final course of an Afternoon Tea – the top plate on the tiered-server – which is the sweets. And the rule is, no matter how full you are, you must eat all of at least some of them. They are so beautiful and tempting. The Wimbledon Afternoon Tea sweets included Chocolate and Orange Roulade; mini Victoria Sponge; Pistachio Macarons (to die for!! ); Champagne Jelly with Berries (lovely!! ); Vanilla Panacotta with Strawberries and Mint (Mr. Tea in England’s favourite); and a Strawberry Opera Gateau. Everything was delicately delicious, but the macarons were my favourite. Confession time: I asked for extras! I have left out details about the tea beverage itself, but our pots of Twinings tea were perfectly brewed, and served with panache by our efficient and friendly waiter, Mihail. One detail I do, however, want to share with you are these charming sleeves that contain the artificial sweetener. Don’t you just love them! Until now, I’ve never seen an elegant camouflage for those ugly little pink packets; it’s a perfect solution and one that you could easily achieve on your own tea table with a bit of DIY. An added bonus to the Grosvenor House Wimbledon Afternoon Tea was the availability of even more cakes and goodies located on a table in the centre of the room. Talk about indulgence! Afternoon Tea at Grosvenor House is a delightful and immensely satisfying treat. The atmosphere is dignified and grand – but the service is relaxed and friendly, and this is one of the things I find most appealing there. Like the games themselves, this year’s Wimbledon Afternoon Tea has ended. But it’s always teatime at Grosvenor House, and they are now taking reservations for their signature Anna’s Tea – named for the woman who started it all by ‘inventing’ the ritual of afternoon tea: Anna, 7th Duchess of Bedford. Afternoon Tea at Grosvenor House, A JW Marriott Hotel, is served from 2pm – 6pm daily in the The Park Room & Library overlooking Hyde Park. When was the last time you went to Afternoon Tea in London? It’s time to treat yourself! Afternoon Tea at Grosvenor House is an experience not to be missed. 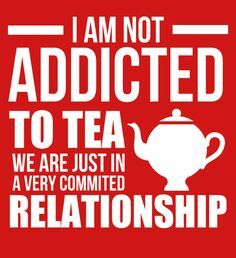 For over 300 years the English have been drinking tea in tearooms. The first known tearoom was opened by Thomas Twining in 1706 at 216 Strand, London. In 1864, the Aerated Bread Company opened the first chain of tearooms called the A.B.C. Tea Shops. Thirty years later, J. Lyons and Co. started a chain of their own more upmarket Lyons Corner Houses. Hotels in cities began serving Afternoon Tea, and traditional English tearooms could be found in almost every town and village in England. Country farms, particularly in Devon and Cornwall, created their own little version of a tearoom, offering cream teas (with homemade clotted cream) to passing tourists. Although A.B.C. Tea Shops and Lyons Corner Houses no longer survive, the English tearoom has and there are thousands of places across this Land of Hope and Glory and Tea where one can enjoy that most charming of English traditions called Afternoon Tea. But with so many tearooms scattered about England, how exactly do you go about finding a good one? I get asked this question all the time, so I thought I would share with you my ten tips to tracking down a terrific tearoom. A glowing recommendation by a family member, friend, work colleague, or neighbour is the best and easiest way to find a terrific tearoom. The next time you are at a family gathering, out on the town with your bestie, chatting with the person who sits across from you at work, or having a natter over your garden gate, make, “Been to any good tearooms lately?” one of your first questions. There are a number of excellent tearoom guides in print. My top favourite is Fancy A Cuppa; it not only lists great places for tea, but also the stories behind the tearoom owners, and the building. The AA Afternoon Tea books and Teashop Walks series have stood the test of time and are superb resources when looking for a tearoom. Bruce Richardson’s Great Tearooms of Britain contains some of the country’s most well-known tearooms (and stunning photographs), and Jane Pettigrew’s Tea in the City: London focuses on the best tearooms in the capital. Margaret Thornby’s Guide to Tea Rooms is another classic and chock full of tearoom listings and reviews. The magazine Tea & Tea Room Talk regularly features tearoom reviews from all around England. I have also discovered the names of tearooms in the Food and Drink section of my local Lifestyle magazine, so find out the name of yours and check it out. Tea bloggers love to talk about tearooms and a tea blog is an excellent place to learn about places for tea. 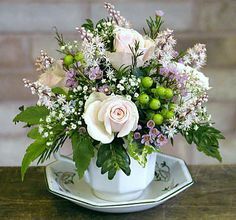 You will also usually find fantastic photographs and detailed tearoom reviews because, well, that’s just the way we are! Tea bloggers can be very opinionated about their tearoom experience, so these blogs are fun to read. Top English tea blogs (besides Tea in England, of course) are Kate and Chelsie and Teasemaid. Obviously, an online tearoom directory should be near the top of your list when you are searching out that perfect place in England for afternoon tea. Here are three of them that every tea lover should have bookmarked: Afternoon Tea, the UK Tea Council, and Tea at Three. Many tea company websites display their stocklists, helping their customers find tearooms and tea shops that carry their teas. Teapigs is one of them, as is Tregothnan Tea. Travel websites, such as Trip Advisor, are also a good place to look for a tearoom in the part of England you are interested in. The Facebook search function makes it easy to do a quick keyword search using the words “tearoom” or “tea room”. 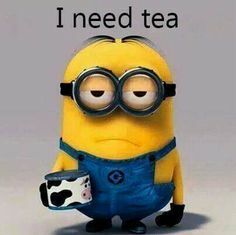 Although tearoom owners are very busy people, many of them still find time to update their Facebook pages regularly with menu specials, upcoming events, discount codes, pictures, etc. The Tea Rooms (London) and Bettys Cafe Tea Rooms (York) are two personal Facebook favourites. When I first set up my Twitter account, I searched the keyword “tearoom” and followed a few of them that showed up in the results. I started re-tweeting their tweets and it wasn’t long before new tearooms were following me back and I was discovering ones all across England that I never knew existed. If you are on Twitter, you could do the same – or simply post a “Looking for tearooms in my area” tweet and see what happens. Here are a few tearooms in England whose Twitter accounts I follow: Peacocks Tearoom (Cambridgeshire), Scrumptious Tearooms and Poppy’s Tea Room (Essex), and Well Walk Tea Room (Gloucestershire). There’s nothing quite as efficient as a basic Google search. 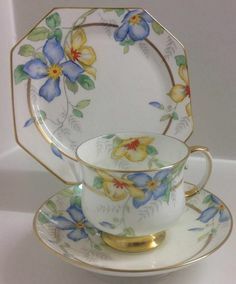 To look for a tearoom, type “tearooms in (insert name of city, state, county, country, etc here)” or “tea rooms in (insert name of city, state, county, country, etc here)” in the Google search box. Don’t give up if you don’t see the name of a tearoom on the first few pages. Keep scrolling through because their website might be ‘buried’ amongst all the other listings. When all else fails, never be afraid to email a tea blogger, tea book author, tea expert, or tea shop owner for the name of their favourite tearoom. Most tea people are happy to “talk tea” and they will consider it a privilege to be of help. 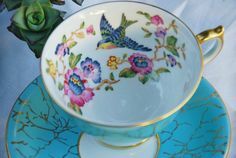 I hope my ten tips to tracking down a terrific tearoom will help you find the tearoom of your dreams. If you have a particular resource that you like to use when on the hunt for a tearoom, please share it with us by leaving a comment below. Note: As “the only constant in life is change”, I strongly advise that before visiting any tearoom, you first ring to confirm that it is still open for business. Those of us who love frequenting tea rooms (you know who you are), just can’t help ourselves from obsessing over their decor, teapots, cups and saucers, and food. And although we wouldn’t dream of ever giving up the pursuit of the perfect tea room, we do enjoy re-creating one or more aspects of our favourite tea room once we’re back home. Whether it’s sourcing their beautiful china for our own tea table, buying a tin of their popular house blend, or having a go at trying to bake their cakes or scones, we want the tea room experience to go on within our own familiar habitat long after it has ended at the one away from home. But when it comes down to baking that cake or those scones, the problem is that some tea rooms want to keep their recipes a secret. Drat. Luckily, some tea rooms don’t mind sharing their recipes and even go so far as to publish them. The Tea Rooms, Stoke Newington Church Street, London is one of those, and I recently had a chance to review their cookbook, Secrets of the Tea Rooms – Recipes for Traditional British Cakes and Savouries. The Tea Rooms opened in 2007 and are owned and operated by mother and daughter team Anne Wilkinson and Isabelle Allfrey; Isabelle is a professional chef. The tea setting is traditional (LOVE those bentwood chairs), with an emphasis on quality homemade cakes and confectionery. Who wouldn’t like a cookbook filled with quality recipes from a tea room with a professional chef, huh? Secrets of the Tea Room contains a variety of great sounding recipes – scones; cakes and pastries; soups; savoury pastries; biscuits and batch bakes; and Christmas cooking – originating from family members and cookery books and adapted for the tea room. Measurements are given in imperial and metric, so the book is suitable for cooks on both sides of the pond. Handy tips are sprinkled throughout as are colour photographs, making it an immediate winner as far as I’m concerned. There is also a brief history of tea in Britain – always a good sign. I am certain that I will eventually try each of the recipes in this book: they are solid, traditional British tea fare. But I did have to narrow it down to just one for the blog post, so I decided on the Lemon Cake. With the days drawing in, I have been in a mood lately to drink more Earl Grey, and Lemon Cake and Earl Grey tea are an excellent pairing. For one small loaf cake, made in a tin about 9 in (23cm) long. This loaf cake is made extra tangy with lemon syrup poured over the cake, straight from the oven. Set the oven to 180°C (350°F) or Gas Mark 4, and prepare a small loaf tin by greasing lightly and lining with baking paper. Grate the zest of the lemon (the skin without the pith) or use a zester. Add the zest to the eggs, salt and sugar, and whisk together, without overworking. Stir in the cream. sieve the flour and baking powder together and fold into the mixture. Then add the melted butter and rum. Pour the mixture into the prepared tin and bake for 7 minutes at 200°C (400°F), Gas Mark 6. Then lower the oven to 180°C (350°F), Gas Mark 4, and bake for a further 33 minutes. While the cake is baking, heat the juice of the lemon and the icing sugar together, until dissolved. Tip: Do not let the lemon syrup boil, otherwise it could taste bitter. The cake is ready when it is springy to touch and a skewer comes out clean. Remove from the oven, but leave in the tin. Prick all over with a skewer (I didn’t have a skewer, so improvised using a matchstick) and then pour over the lemon syrup while the cake is still warm. Turn out when cold. The Lemon Cake looked and tasted fantastic. The recipe was easy to follow, and I already had everything on hand. Baked in small, individual loaf tins, the Lemon Cake recipe from Secrets of the Tea Rooms would be perfect for holiday gift-giving to friends, neighbours or work colleagues, together with a festively wrapped copy of the book itself. Visit The Tea Rooms website for opening hours and more information about their tea room, teas, bespoke cakes, venue hire, and home tea party service. You can also find them on Twitter and Facebook. If you liked this post, please use the buttons below to share it with others.